Hyundai Heavy Industries (HHI) has formalised its self-rescue plans and today submitted the scheme to its creditors, which are being led by KEB-Hana Bank, according to reports from the Yonhap news agency. The restructuring plan reportedly includes further job losses and the sale of non-core assets like buildings and property. The measures aim to help the South Korean shipyard overcome heavy losses incurred by low newbuilding activity. Last month, reports suggested up to 3,000 jobs could be lost from HHI’s 27,000-strong workforce. HHI is also reportedly planning the closure of nearly 100 of its 388 business divisions, equivalent to around 20% percent of the group. 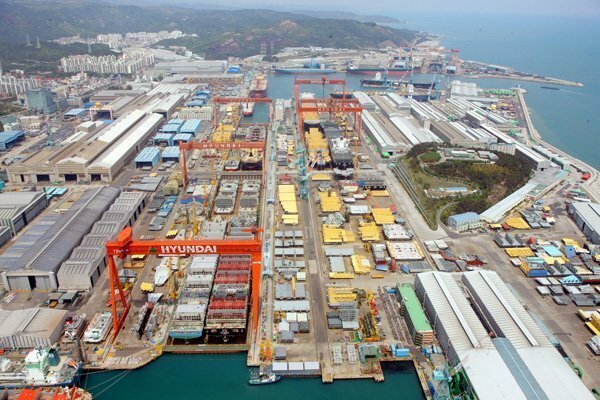 The yard’s vessel and platform design team could also be relocated from Seoul to HHI’s corporate headquarters in Ulsan as part of the plan. The shipbuilder reduced the number of its executives by 25% and cut their wages in April.